Does the classic-looking van drive like a relic from the past? Or is it as futuristic as its interior and electric powertrain suggest? 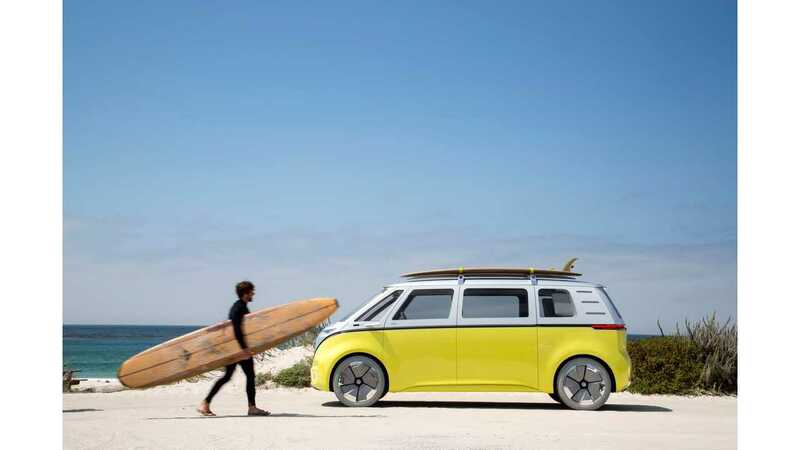 Autocar recently took the Volkswagen I.D. 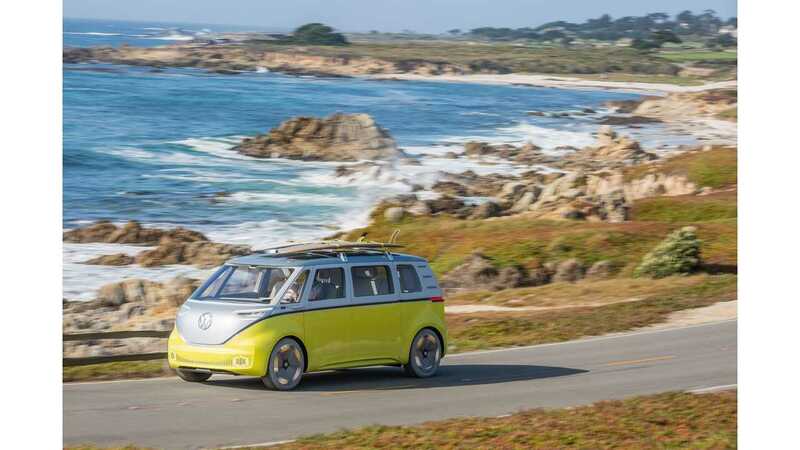 BUZZ for a spin in California, where the German manufacturer demonstrated the prototype during the Pebble Beach Concours d’Elegance. 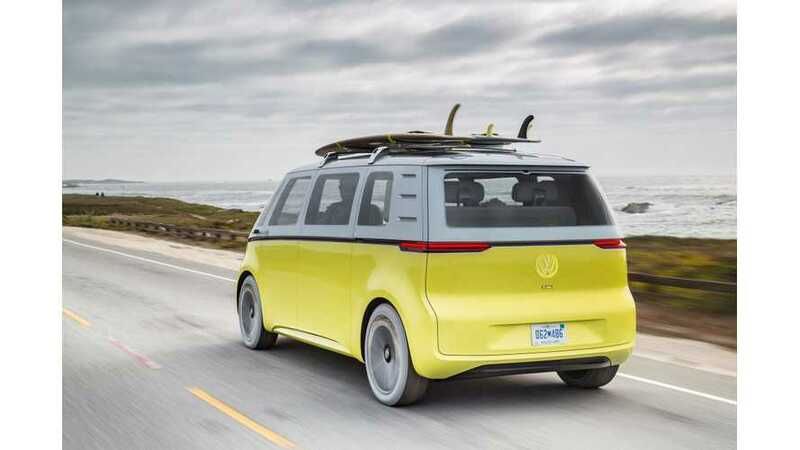 First of all, it's certainly a concept prototype, built on a e-Golf powertrain at this stage, which means that the drive really is not representative of the production model, which was announced for first deliveries 2022. Seriously - 2022. Nonetheless, there are a lot of electronic gadgets on board today - like gesture control for opening the doors. 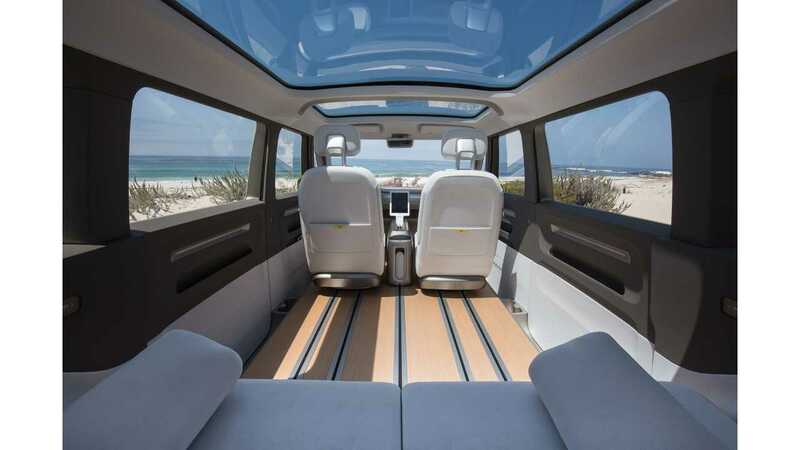 Inside you can find a lot of space (Volkswagen intends to offer the can in both passenger and cargo versions) - it is a massive 194.6 inches long, and over 6' high. 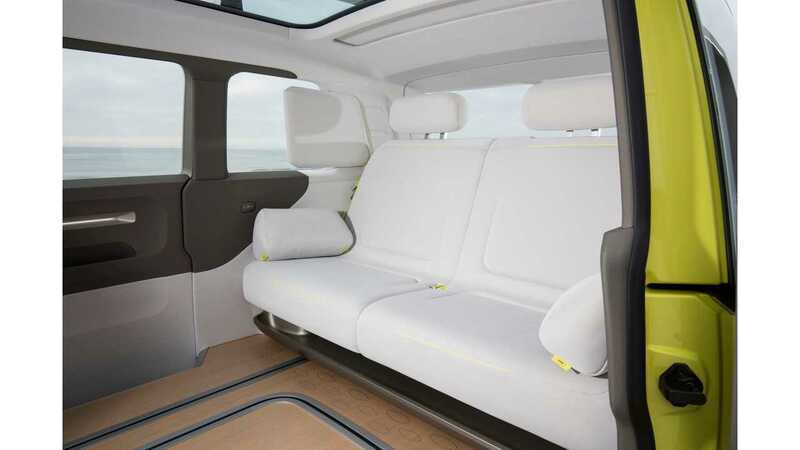 The seating position, understandably, is also very high, while the interior is kept simple and clean. "With a design that aims to reduce clutter, the high mounted full width dashboard is devoid of any controls. The main functions, including the gear selection and indicators, are all housed within the rectangular steering wheel." The prototype can be started with one button, and is ready to drive. However, it doesn't show the battery state of charge. With a working/production-intent copy, range should be 270 miles (EPA) using a 111 kWh battery. Because the demo I.D. 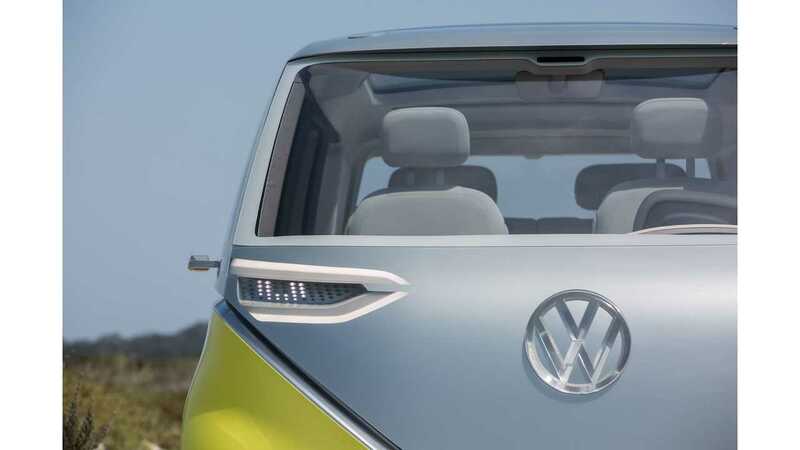 BUZZ was used by other media outlets for the entire day (and the original e-Golf platform only has ~85 miles of range), Autocar was only allowed to drive the I.D. BUZZ for a single mile. The powertrain (in production form will be a double-motor AWD setup with 275 kW) was in this case, a single-motor rear-wheel drive only - which might be an optional trim level (with less range) ultimately in production. The acceleration was "surprising vigour". It feels lighter than one would anticipate for its ~2,000+ kg weight. "With a coasting function aiming to maximise efficiency, it freewheels with very low frictional losses when you come off the throttle..."
"Driveline refinement is quite impressive; there’s no trace of whine from the electric motor mounted in the back." "The steering is light but slow to respond and not very direct at all." "The ride is firm and quite noisy. Most design-based concepts ride like shopping trolleys, and with the I.D. Buzz riding on 22-inch aerodynamically optimised wheels shod with prototype 235/45 tyres, there’s little in the way of proper wheel travel or comfort inducing compliance." "But these particular facets of the ID Buzz’s driving characteristics are not really representative of what we can expect of the finished product."